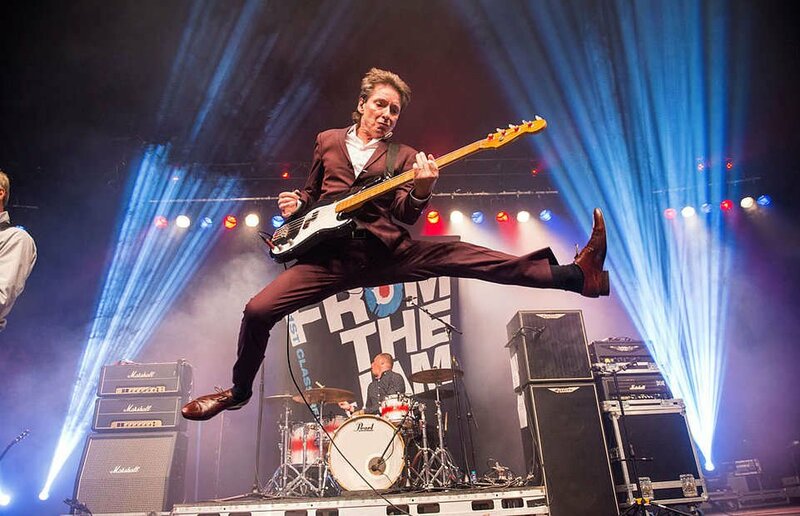 From Woking, Surrey, UK the legendary Bruce Foxton is best known as a part of ‘The Jam’. In The Jam, Bruce and drummer Rick Buckler were unarguably the driving force, power and rhythm section behind singer, guitarist, and songwriter Paul Weller. Bruce’s Bass lines, are amongst some of the most recognisable bass lines in the world. Bruce’s songs are identifiable after two maybe three notes. When The Jam split in 1982, Bruce pursued a solo career. He had a hit with the single "Freak" and collaborated with other musicians, until he got the call from Stiff Little Fingers' Jake Burns, staying with SLF for fifteen years, recording four albums, namely, Flags and Emblems, Get a Life, Tinderbox, and Guitar and Drum. Bruce now records solo and plays with his live band ‘From The Jam’. Bruce uses an Ashdown BTA-400 head, together with an ABM 4x10 and custom shop 2x15 speaker cabinets.